We are very grateful to everyone who has supported the Rady Faculty of Health Sciences. 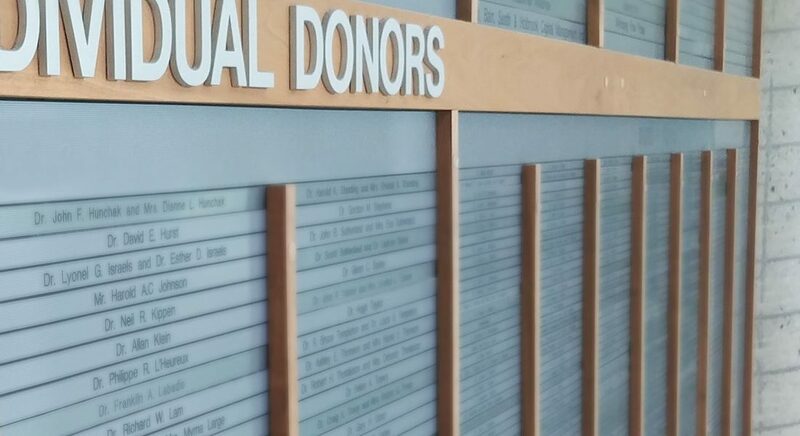 The online donor honour roll and legacy donor listings recognize alumni and friends who have given over $10,000, or have included the Rady Faculty of Health Sciences or one of its colleges in their legacy planning. Thank you! Your support is changing the lives of our students, faculty and researchers. The Winnipeg RH Institute Foundation Inc.
Super Thrifty Drugs Canada Ltd.
Children’s Hospital Foundation of Manitoba Inc.
Graham C. Lount Family Foundation Inc.
Aurum Ceramic Dental Labs Ltd.
Kiwanis Club of Winnipeg Foundation Inc.
Lupus Society of Manitoba Inc.
von Stackelberg Insurance Agency & Financial Services Ltd. The University of Manitoba makes every effort to ensure that donors are properly recognized. Please contact Donor Relations at 204-474-9195 or stewardship@umanitoba.ca regarding any errors or omissions.